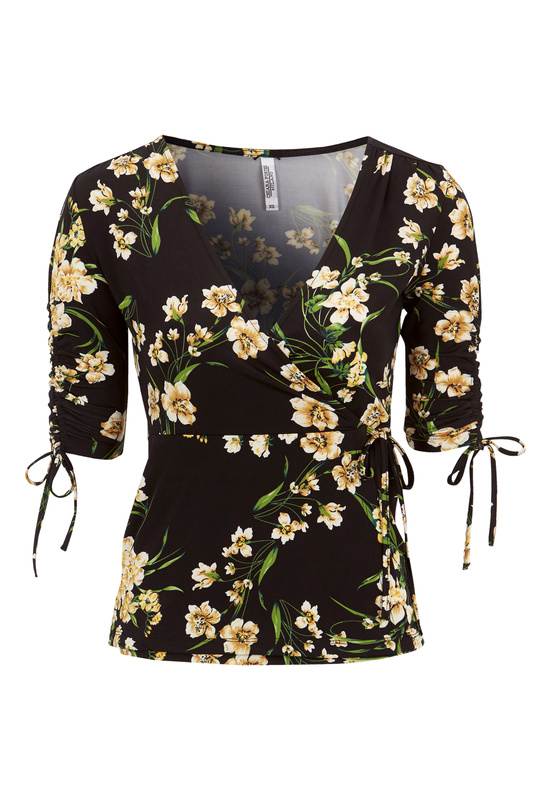 Lovely tricot top with a beautiful print from CHIARA FORTHI. The top has a wrap design and ties at the side. Total length of garment in size S: 60 cm.